It took 50 days to build the Lightfoot and why not? The motorcycle belongs to John Abraham. Every part of the bike – from chassis to single-side drum brake – has been hand made. 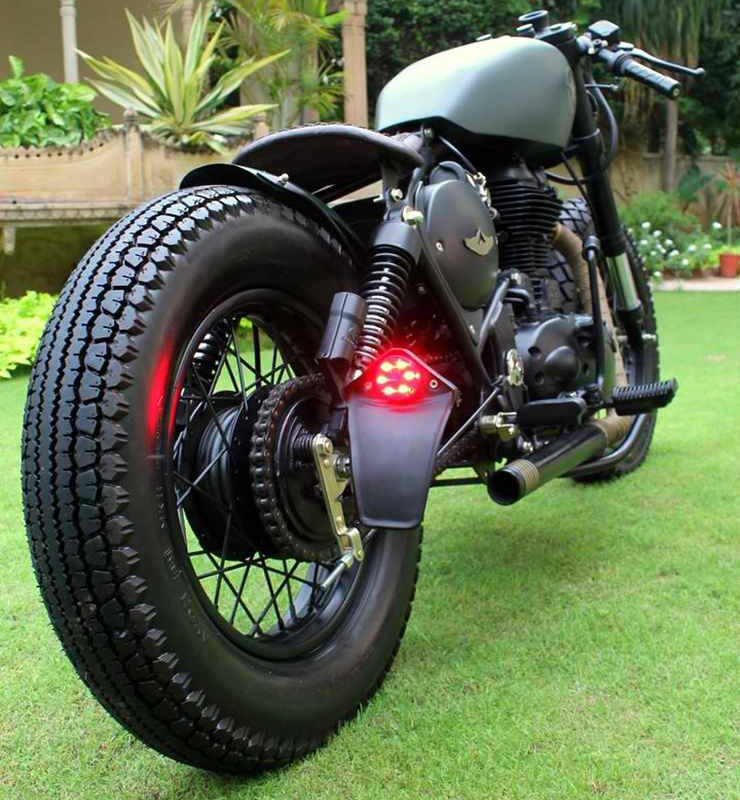 Even the rims, spokes, girder-fork front suspension, fuel tank have been carefully crafted. 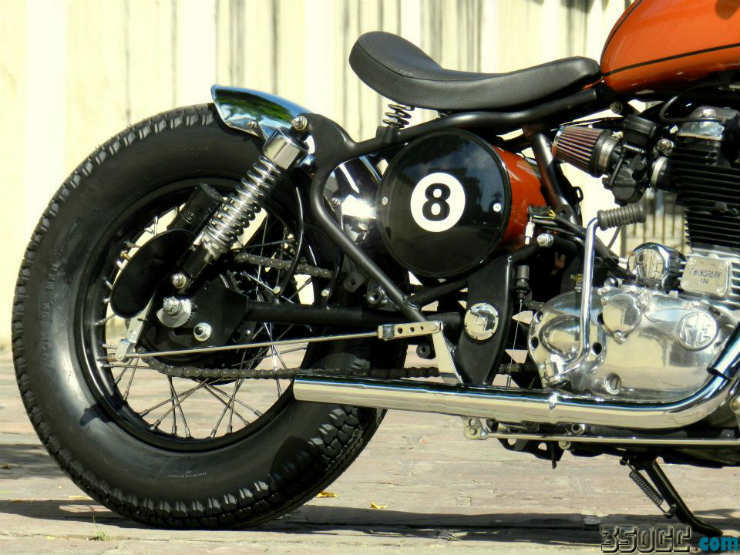 The motorcycle also gets custom handlebars, hand-stitched seats, handmade fenders. The attention to detail is as such that even the screws were shaved to make them fit the whole look. Rajputana Customs also made the internal throttle body that increases the performance of the bike. 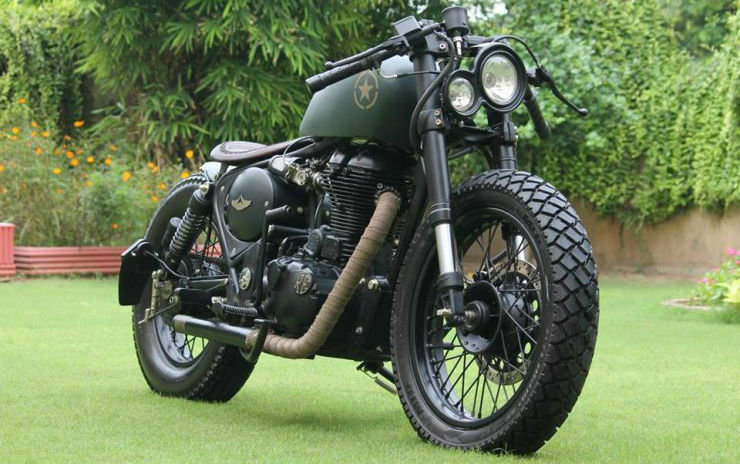 The special bike Nandi, named after the greatest deity of Lord Shiva was customised for a soon-to-be groom. The motorcycle is based on the Classic 500, and it took more than two months to complete the product. Nandi was built from scratch. The Nandi gets a huge 300 mm rear tyre and a 23-inch front tyre. There is custom twin-barrel exhaust that makes sure that Nandi announces its arrival in style. 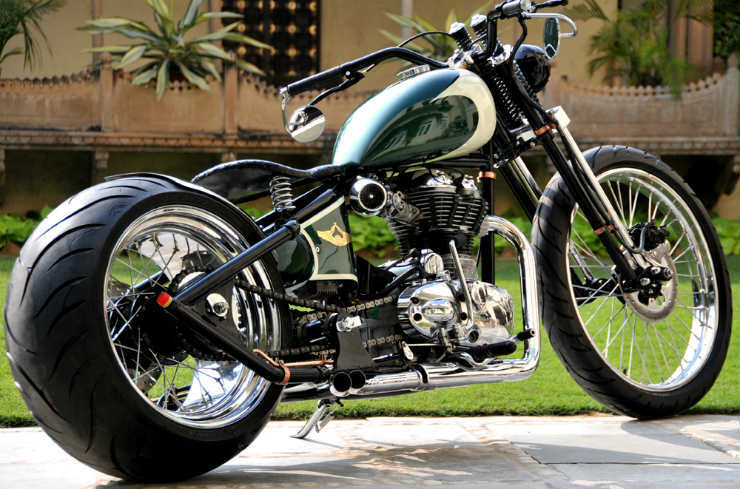 The motorcycle gets a custom tank and a flat handlebar with drop-down mirrors. 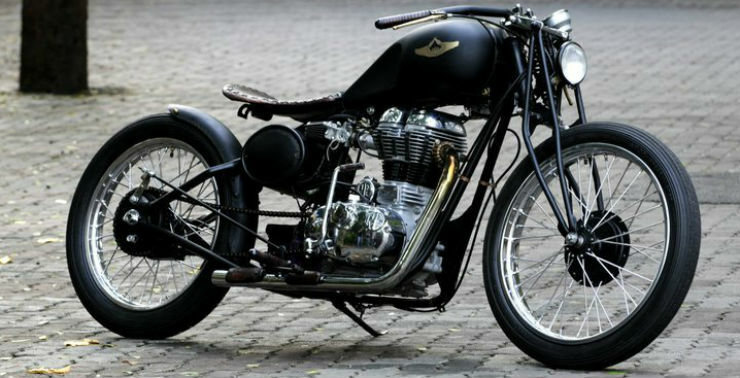 Raangad is a Rajasthani slang for an aggressive or wild person, and this motorcycle deserves every bit of the name. Raangad is based on the Nandi, but the character of the motorcycle has grown by a huge margin. 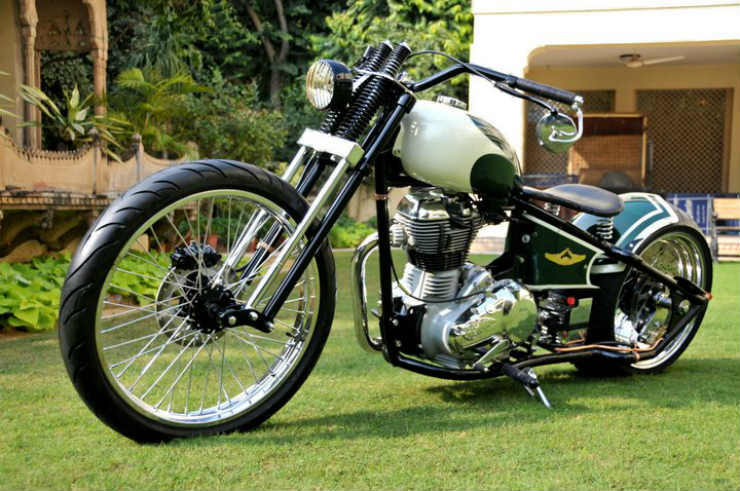 The Raangad is not identical as Rajputana Customs never build two similar motorcycles. However, the owner was adamant about a similar product like Nandi. The Raangad gets a split double tube frame and a mono-shock while Nandi is a hardtail. The riding posture on the Raangad is also way different and much more aggressive. 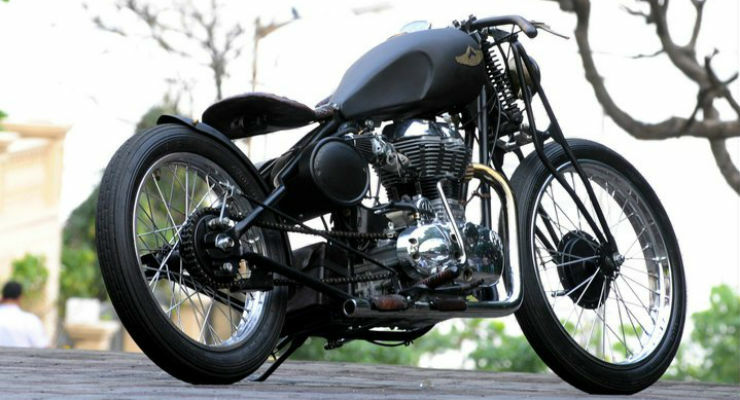 The 8 Ball, Bobber from Rajputana Customs is built around the 350 cc unit construction engine and used a modified Electra frame. 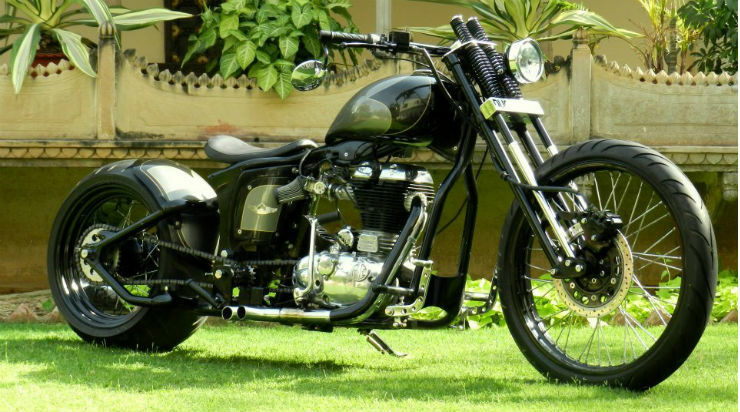 The donor motorcycle is a Royal Enfield Electra. The Bobber is a single seat boulevard cruiser meant to be brought out for a leisurely ride around town on a breezy Saturday afternoon. 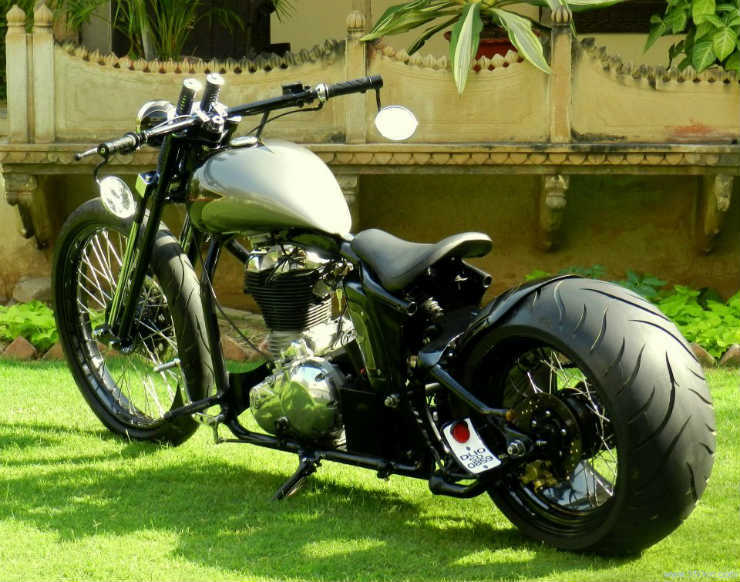 Fat tyres and a raked front end give the 8 Ball, Bobber Harley Davidsonesque looks. The motorcycle costs about 2 lakh rupees to put together, and this is excluding the cost of the donor bike. The Assault is based on the Classic 500. 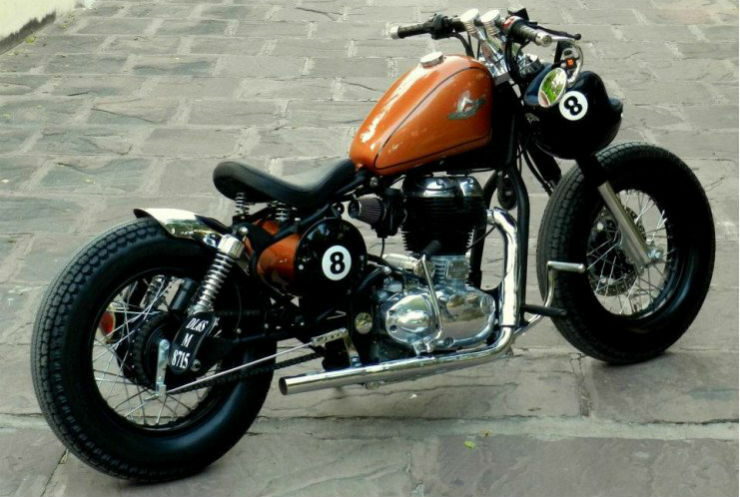 The unique motorcycle is a cross between a chopper and a board tracker. The Assault gets upside down front forks, fatter tyres, new rims and a distinctive headlamp. Rajputana Customs has also put a revised instrumentation and a new paint job that looks familiar to the military green. The Assault is for those who want o make a modern statement with the classic RE.